In any one year we’ll stay in 30+ hotels around Europe. That amounts to a lot of hotel breakfasts to get through. Some destinations do breakfasts well, others don’t. We like a balance of healthy choices at breakfast as well as the option to pig out on the likes of eggs, sausage and bacon when we fancy. We recently stayed in a couple of hotels in Bavaria. Breakfasts in Germany tend to suit our tastes. There was plenty of fruit, yoghurt and muesli as well as cold meats, cheeses, breads, pastries, pates and even a selection of hot options. A couple of months before that we explored Corsica where, apart from in a rural guest house, the fruit and muesli/cereals choices were almost non-existent. Great for croissants and pastries but not a lot else. Within days of returning to Tenerife we spent a night in the Melia Jardines del Teide in Costa Adeje. 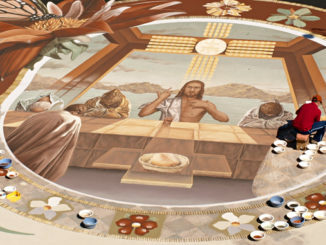 One review on Tripadvisor had us pondering what people in general actually considered constituted a good breakfast buffet in hotels on Tenerife. Our view was quite different. But hey, we all have personal preferences. However, the breakfast at the Jardines del Teide included a various fruit juices; a variety of beautifully presented yoghurts; individual packs of muesli and cereal; fresh fruit; a range of different breads and pastries; choice of coffees; cold meats; a selection of cheeses; bacon; three types of sausages; scrambled eggs; boiled eggs; tortilla; beans; tomatoes; mushrooms; fried peppers; churros; porridge; fried milk and a chef preparing omelettes to order. Often it’s the little details which can tell you all you need to know. The choice of milk included skimmed, lactose free milk, oat milk and soya milk. As breakfast buffets go it was a pretty good one. 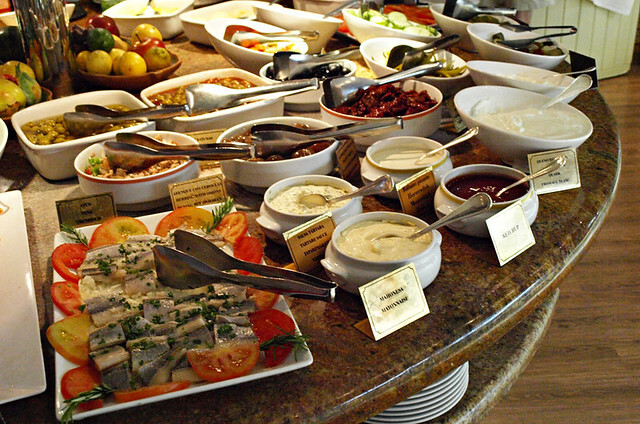 The experience got me thinking about other good Tenerife breakfast buffets, especially the ones which stood out for offering something a little bit different. These are five which have stuck in the memory. 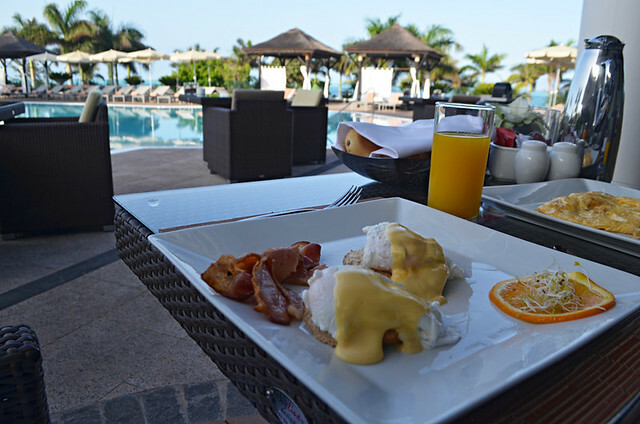 The number one standout Tenerife hotel breakfast experience was freshly made eggs Benedict served in the wonderfully flamboyant, Mexican themed courtyard of the Hotel Villa Cortes. 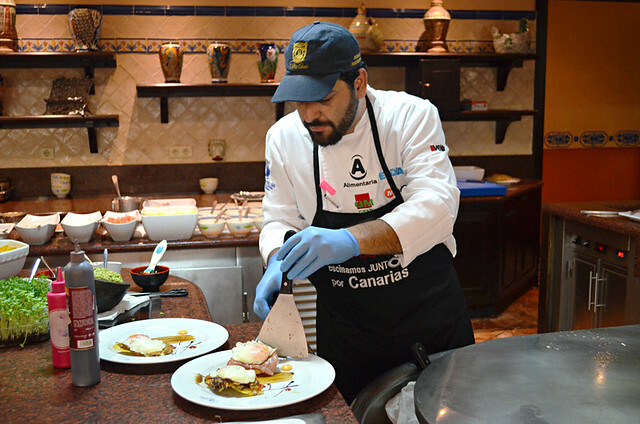 Chef Diego Maderna threw in his Canarian version of huevos rancheros as well, creating a vibrantly coloured breakfast plate to compliment the colourful décor. It was a killer breakfast and as good as we’ve enjoyed anywhere. Breakfast in the sunshine by the pool in the Red Level of the Palacio de Isora was one of those experiences which felt extra special and exclusive. The setting helped the brilliant breakfast vibe, but it remains etched in the memory thanks to exceptional eggs Benedict (again) chosen from a select menu. 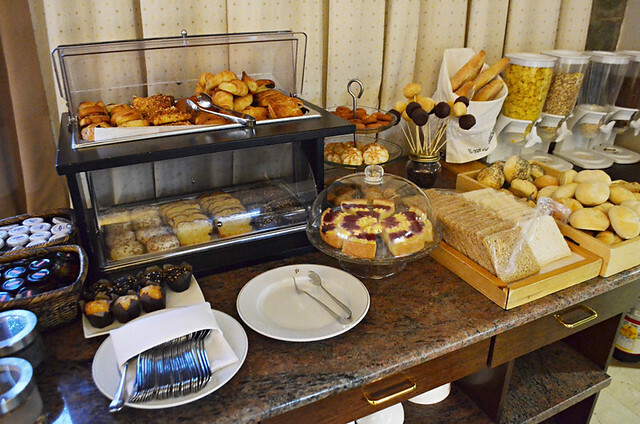 Overall a small but perfectly formed breakfast buffet. Simply old school class and an overwhelming choice of breakfast goodies to enjoy to a soundtrack of exotic birdsong from a huge glass aviary adjoining the dining room. Too many choices to mention but the range spanned specialist diets to belly-busting fry ups. The most decadent breakfast item was a chocolate fountain. The most extensive breakfast buffet we’ve seen on Tenerife. Another small and exclusive breakfast experience was in the opulent, almost palatial, dining room at the Royal Garden Villas. 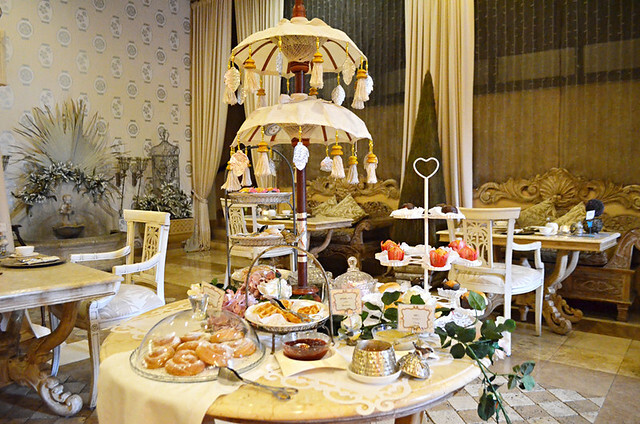 It’s the sort of setting where you could imagine Marie Antoinette tucking into cake. 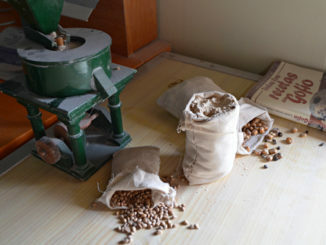 Everything screamed quality – and it was; from the carefully chosen produce to the way each dish was presented. Stand out was a tiered cake stand full of sinful sweet treasures. In truth the breakfast at the Parador in Teide National Park isn’t one of the best we’ve eaten on Tenerife, but it does occupy a favourable spot in the memory. Waking up to breakfast in that incredible setting sent a shiver down the spine… and not just because it was icy enough to freeze the pond outside the windows. The selection on offer was pretty decent considering it was a bijou one. 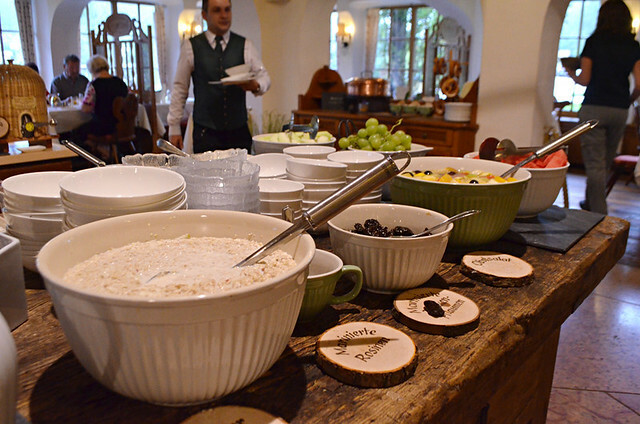 There were cold and hot dishes, fruits and cereals and pastries. 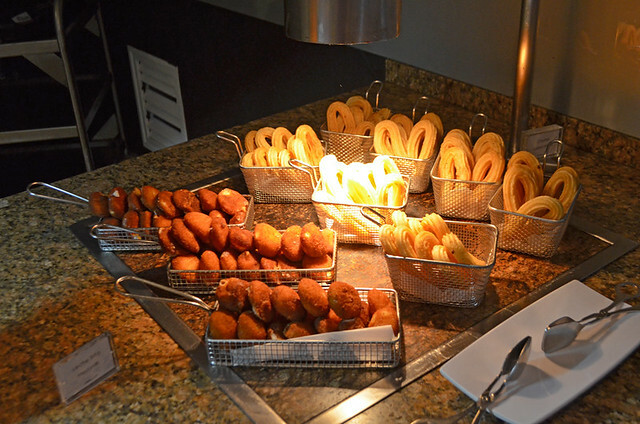 Breakfast at the Parador also makes the grade because of two more unusual breakfast offerings – a mini frying basket brimming with savoury croquettes and a jar of mini doughnuts on the end of sticks. However, memorable as those Tenerife breakfasts were they were topped by desayuno in a city centre Madrid hotel in July. That one had a bottle of vodka you could help yourself to. 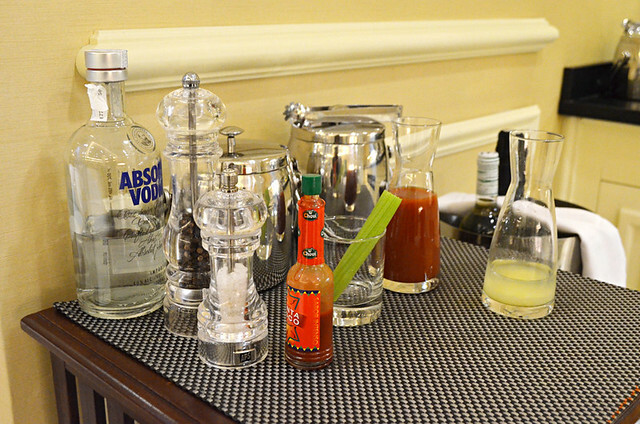 Well you wouldn’t want breakfast *without* vodka. The question is: can you get breakfast at these adresses without staying in the hotels ? 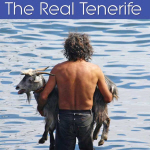 Unlikely Rudy, the best Tenerife non-hotel breakfasts would have to be another post.